The technology has the power to heal scars without a trace. Some Ugandans are already undertaking laser treatments for various skin and hair loss related issues. While dermatological is a mainstay in the more developed world, the concept of laser dermatology is still a fairly new phenomenon in Uganda. This article attempt to demystify this concept of laser dermatology in an interview with Dr. Malik Ssempereza, a lead dermatologist at the Unity Skin Clinic. According to Ssempereza, there are six different types of lasers used for treatment of various conditions and each type uses a specific level of energy that targets a specific type of component in the body. “Ideally the light beam will collide with that specific component it is meant for, and cause it to disintegrate, thus achieving the desired results, while leaving other surrounding tissues safe and intact,” he explains. He adds that some lasers target water, others target the red pigment in blood to remove birthmarks called haemangiomas and varicose veins. Others lasers, he says, target the dark pigment in the hair to remove hair while others target the colored pigments in tattoos to remove the tattoos. “We even have a new laser for fungal infections of the nails which reduces the need for oral medications. It works directly on the nail, and delivers more effective results,” he adds. 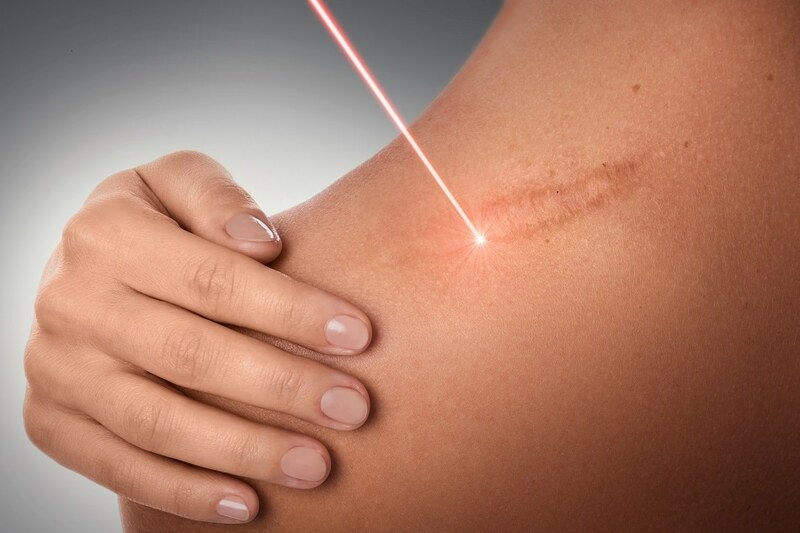 At Unity Skin Clinic, laser is used a lot for surgery. It is used to remove skin swellings and abnormal growths. The advantage is that results are instant, with no bleeding, and no scarring. According to Dr. Ssempereza, permanent hair removal is the most sought after laser-based service. This he says, has been triggered by men who were more accustomed to clearing unwanted hair off your body using a shaver or razor blade with the aid if shaving cream or wax. With the laser hair removal, the major difference is in the long-term effectiveness. It works by beaming highly concentrated light into hair follicles enabling the pigment in the hair follicles to absorb the light which eventually destroys the hair. “The procedure is quite quick but may cause some minor discomfort” says Dr. Ssempereza before adding that the hair almost stops growing after an average of eight sessions spaced out as advised. While laser treatment is used for hair removal, it is also used for hair loss treatment for both men and women with certain types of hair loss. Ssempereza explains that low-dose laser treatments stimulate circulation and stimulation that encourages hair follicles to grow hair. This exercise, he says, is non-invasive, painless, free of any side-effects and super effective. But that’s not all. Laser treatment is also used to reduce the appearance of scars, the production of new skin cells to cover damaged skin cells and triggering the anti-aging option. As Ssempereza notes, laser treatment reduces the appearance of age spots and skin wrinkles. With more people opting for laser treatment procedures, Ssempereza is positive that the already affordable costs will go even lower as client volumes increase because “laser technology delivers tangible results that are visibly worth the investment.